There’s a wide range of Moody yachts. Over 4,500 have come off the production line. In more recent years the brand* is associated with the manufacture and sale of luxury yachts by Hanse Yachts. The 333 was designed by Angus Primrose, and she was manufactured by A. H. Moody and Son in the early 1980s. 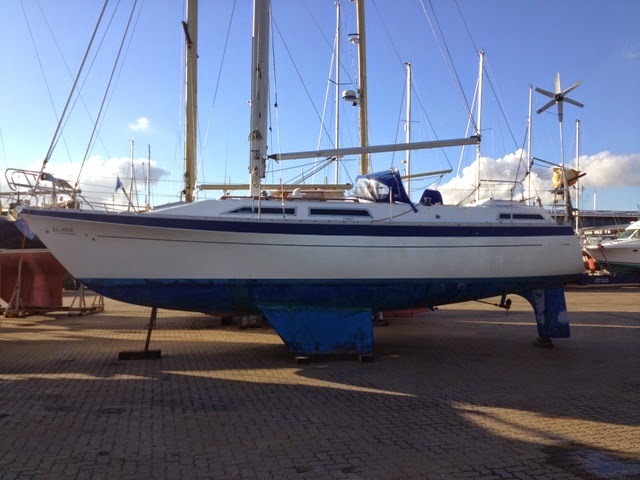 She is similar to the Mk 1 and Mk 2 yachts at 33ft LOA, except she has an aft cabin. 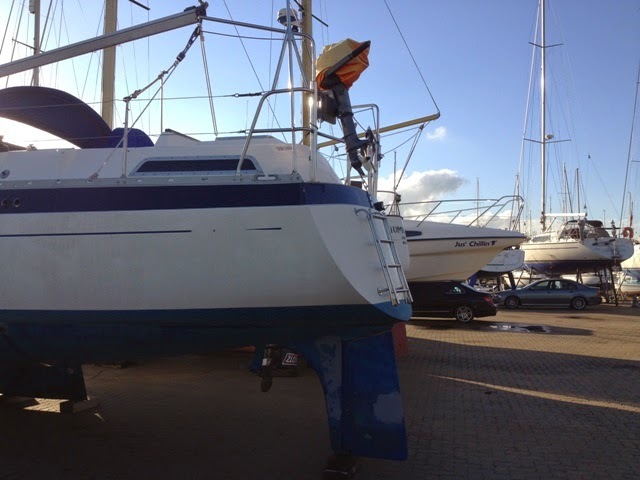 All three models were available with fin or twin keels. 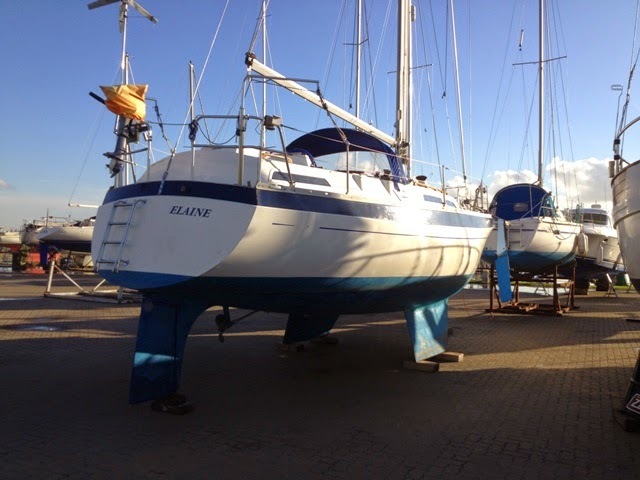 ‘Elaine’, shown in the photos that were taken at Burnham Yacht Harbour, has an in-mast furling system for ease of reefing the mainsail and a furling Genoa.